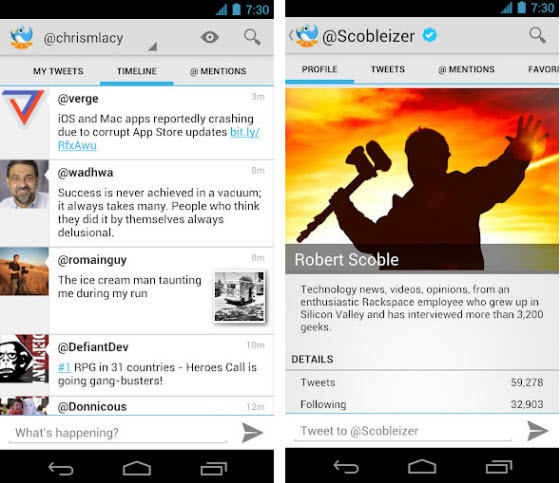 Tweet Lanes is a pure twitter app for Android ICS. The app was inspired by Ice Cream Sandwich. VolScroll™ - Use the hardware volume buttons to quickly navigate your feed. Very handy on larger phones such as the Galaxy Nexus and Galaxy S3! Interact with multiple tweets at the same time using multiple selection. Very handy for replying to multiple people in a single tweet or blocking spams.